Enjoying the modern day living at our Orange County Western National Apartments to the fullest doesn’t mean you can’t take care of the environment at the same time. Simple small changes to the way you live, work and travel can make a big difference. A good place to start is with your electrical equipment. Take a look around your apartment and take note of the number of items that are left either on or on standby. Even in standby mode, they are using electricity; the average home uses an additional 1000 watts of energy a year by leaving items on standby. By switching off or unplugging appliances that are not being used you can make a massive difference to your energy consumption. You can save even more energy by simply swapping your old incandescent bulbs for compact fluorescent ones. Not only will you save energy, but because they last up to ten times longer, you will also save money. In addition, you can make further the savings by turning down your thermostat by just two degrees in the winter and washing your clothes at a lower temperature. 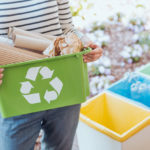 Reducing waste is another great way to improve your green credentials. 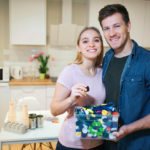 Consider repairing rather than replacing items around the home, including clothing, or find new uses for them; empty food containers can be used to store all sorts of things, including leftovers that can create new meals. Opting out of direct marketing will reduce your paper trail and give you less mail to sort through every day. An even simpler way to make a difference is to swap to recycled toilet roll. It’s not just what you do, but also what you use that can make a difference to the environment. 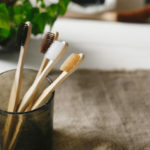 Change your cleaning products to non-toxic, biodegradable ones, or if you are feeling adventurous use things from your cupboards such as vinegar and lemon juice for a natural clean. 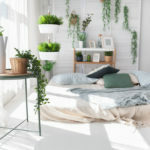 If you’re still looking for an exquisite Orange County apartment where you can practice these green apartment living tips, contact us for a tour today!